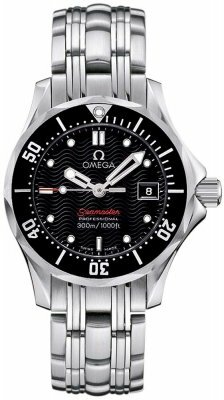 Buy this new Omega Seamaster 300m 212.30.28.61.01.001 ladies watch for the discount price of £1,440.00. UK Retailer. Satin/Brushed finished steel case & bracelet with polished/glossed finished highlights. 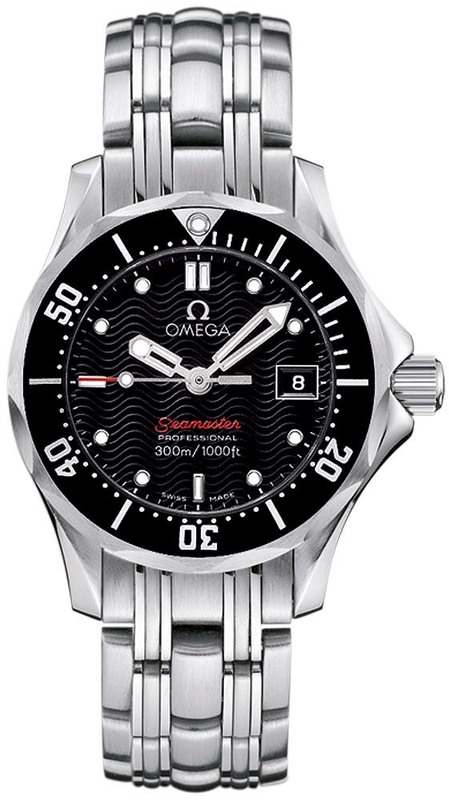 Black wave design dial with Luminous tipped hands & hour markers. Helium escape valve in form of a crown at the 10 o'clock position. Movement - Omega caliber 1424, Battery good for an estimated 2 years.